Prohibition Agents John Nicola, Nathaniel Bowes, John Weigel and an unidentified prisoner were traveling east on Washington Boulevard, towards the Baltimore Field Office. They observed a suspicious "high powered gray coupe," pass them going west on the boulevard and suspected the car might be loaded with liquor. The agents began a pursuit of the gray coupe. Both vehicles were driving at high speeds when the coupe made a sudden, sharp and quick turn. Agent Nicola, in an attempt to avoid a collision, swerved and hit a gutter depression, which caused his Government vehicle to spin out of control and overturn. Agent Nicola was caught under the steering wheel and suffered severe injuries. The other two agents and the prisoner suffered less serious injuries. According to a news account of the day, the occupants of the car being chased helped extract the agents from their vehicle and took them to St. Agnes' Hospital, in Baltimore. They then disappeared and were never found or heard from again. Agent Nicola died shortly after reaching the hospital. 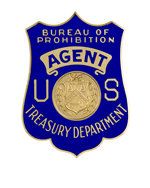 Agent Nicola joined the Bureau of Prohibition (BOP) on July 6, 1927, and was assigned to the Baltimore Field Division. Prior to joining the BOP, Agent Nicola was a police officer for five years with the Metropolitan Police Department, Washington, DC. 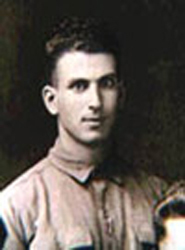 He also served in the U.S. Army from 1916 to 1920. Agent Nicola was born in Beirut, Syria. He was survived by his wife, Alma, and daughter, Joan.